Planning permission to see the former The Original Factory Shop (TOFS) transformed into a business hub has been submitted to Dumfries and Galloway Council. The plans were lodged five days before Christmas by Glasgow based Bennett Developments and Consulting on behalf of Sava Estates. Developers want to create a separate shop as well as a restaurant, complete with bar and takeaway, overlooking Main Street at the front of the store. Behind the restaurant will be a gym, complete with male and female changing rooms and a range of equipment. And at the rear of the property a dental practice is mooted. Plans say it will feature a number of practice rooms, a reception area, office and store. The developers have also mocked up opening hours, including a midnight weekend close for the restaurant. Meanwhile, they estimate the shop could be open between 7 am to 10 pm daily, the gym 7 am to 10 pm seven days a week and the dental practice will probably operate between 9 am to 6 pm, Monday to Friday. The planning statement adds: “Externally there will be little change to the building, though the restaurant will require the installation of a ventilation flue. It added: “The proposed development will see this large vacant building recycled to provide a range of services to the local area. “Whilst the building is unremarkable in itself, the uses proposed will animate this corner and enliven the streetscape. “The restaurant in particular will generate footfall and activity which helps the ambience of the area. “In the evenings and winter months the splay of light from the large windows will illuminate the footpath and add to the sense of wellbeing, which will contribute to the sense of community. 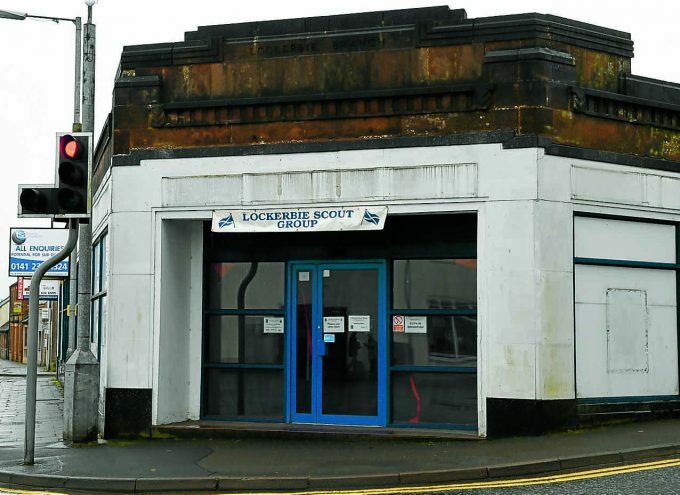 Currently the premises is being used as a hub for the Lockerbie Scout group, who lost their former base last year, after it was declared unfit for use. Earlier this month the Scouts confirmed they were still looking for a permanent home and are considering a number of options, but were unable to comment on specific sites at present, making it unclear if they plan to bid on the large central site. Meanwhile, the former Factory Shop building is listed as up for auction on Monday, February 4, at Glasgow’s Radisson Hotel, Argyle Street. The lot comes with a £272,500 guide price. See next week’s Annandale Herald for an update.